If you or someone you love has been injured or killed by the wrongful conduct of another, an experienced personal injury attorney can help you find justice. 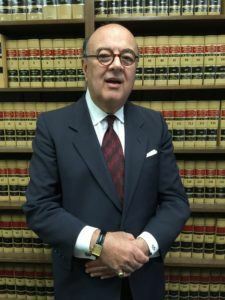 At the Law Office of Carlos A. Lloreda, Jr., in Los Angeles, we are dedicated to helping people obtain full and fair compensation for their serious personal injuries. We represent clients in a wide range of personal injury and wrongful death cases. With 40 years of experience, we offer deep knowledge of the law, insightful legal advice and zealous advocacy in each case we handle. Personal injury — If you or a family member has suffered a serious personal injury due to someone else’s wrongful conduct, we will seek full compensation for your injuries so you can concentrate on your recovery. Wrongful death — Although no sum of money can replace a loved one lost due to the negligent conduct of another, a wrongful death action can help ease the financial stress of the loss. Attorney fee disputes and attorney conduct matters — Mr. Lloreda has additional significant experience with attorney fee disputes and attorney conduct matters as both an arbitrator and an advocate. With past experience representing defendants in personal injury cases, Attorney Lloreda knows how to win for plaintiffs in serious personal injury and wrongful death cases. I look forward to helping you find success. My law office is small, and my staff and I often work weekends. You won’t be lost in a big factory law firm here. You will get to know each of us in this office by name. I promise to call you back the same day you call, even on weekends or in the evening. Before representing injured plaintiffs, I worked 13 years as a defense attorney representing insurance firms. Because I did that kind of work, I know how insurance companies and their lawyers think and act. I’ve been working as an attorney for so long that I’ve confronted almost every type of personal injury and wrongful death case: car crashes, slips & falls, serious injuries caused by public utilities and school districts, premises liability cases against landlords. I’m familiar with the twists and turns a P.I. case can take, and I’m prepared to deal with them. My office is very centrally located on Los Angeles’ principal street – Wilshire Boulevard. And we are close to both the 110 and 10 freeways. I am dogged, persevering, determined, and pugnacious. If you aren’t offered a good settlement, this office will go to trial on your behalf. If you don’t succeed at trial, I will take your case to the court of appeal. The Law Office of Carlos A. Lloreda, Jr. has helped numerous clients obtain recovery in personal injury and wrongful death cases. To learn how I can help you, please call 323-965-0365 or contact me online to schedule a free initial consultation at our Los Angeles office.